Green Ginger offers puppetry training to increase accessibility and up-skill the theatre industry. The company’s experienced artists can deliver design and performance surgeries to suit all levels from enthusiastic novice to established practitioner. Company members are available to train up performers and crew in productions that require an experienced hand to guide them in performance or fabrication techniques. Whatever the scale of your needs or ambition, from a puppet build that has hit a snag, to a large scale opera requiring a long-term relationship, get in touch with us here. 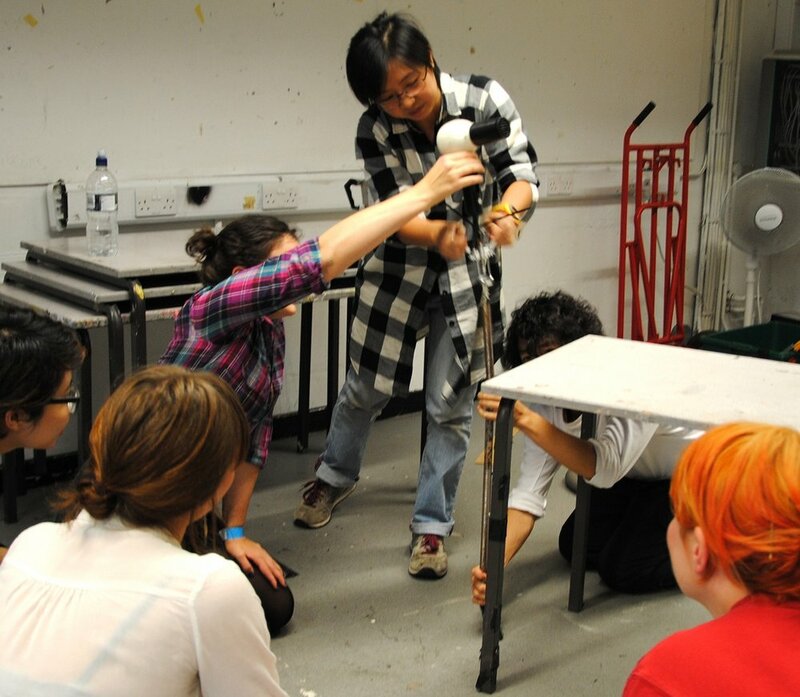 In 2010 Green Ginger created Toast in the Machine, a Leverhulme-funded CPD and mentoring programme for emerging artists with a commitment to puppetry within their craft. The company also teaches and mentors at Royal Welsh College of Music & Drama and Bath Spa University. Its members are experienced in the provision of content to all, regardless of physical limitation or additional needs.